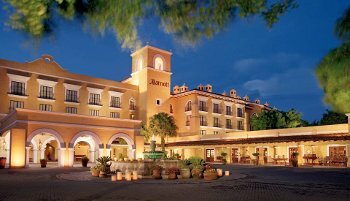 The APS 2013 conference will take place July 15th - 17th, at the Marriot Hotel, San Jose, Costa Rica. * Hotel room rates are subject to applicable local taxes (13% sales tax) in effect at the time of check in. Full buffet breakfast and internet connectivity included. Charge per 3rd and 4th person over 12 years old in a room is US$26.00 + tax each, breakfast included. Children between 6 and 12 years old will have a charge of $11.00 + tax each, breakfast included. Children under 6 years have no additional charge. Maximum number per room is a total of four guests. Reservations for the group can be made by each individual. Reservations can be made by calling the hotel reservations department to +(506) 2298-0844, by calling to a toll free number inside the US 1-888-813-2776, via e-mail to reservas.costarica@marriotthotels.com (Use the group name: INFORMS APPLIED PROBABILITY SOCIETY CONFERENCE). For online reservations click HERE and use the group code "infinfa" to obtain the conference reduced rates.